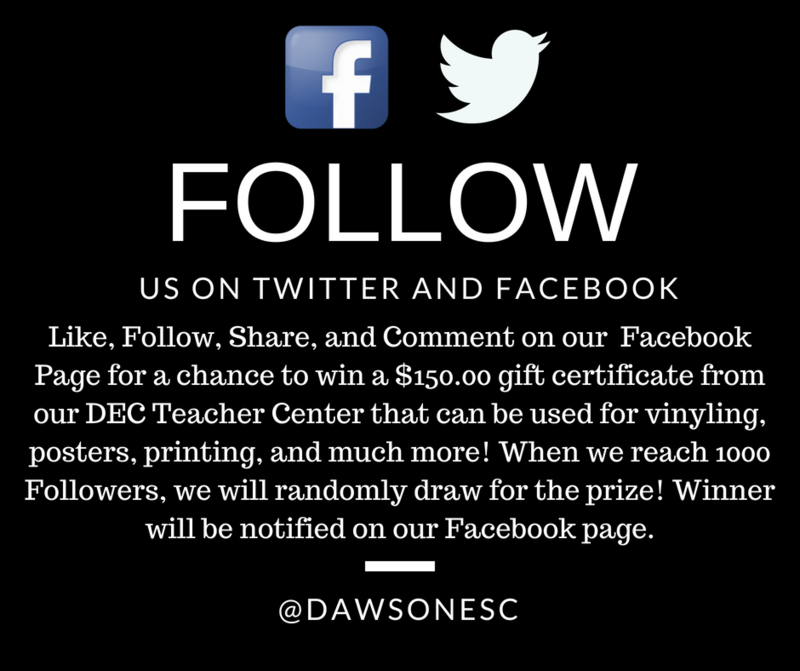 Like, Follow, Share and Comment on our Facebook Page for a chance to win a $150.00 gift certificate from our DEC Teacher Center that can be used for vinyling, posters, printing, and much more! When we reach 1000 Followers, we will randomly draw for the prize! Winner will be notified on our Facebook page.